Second readings are often very profitable so as “leader” of an upcoming discussion I took a quick reread of The Marco Effect. You bet! Now that I have some idea of what’s going on it’s much better. The introductory material – the set-up stuff, from the Prologue through Chapter 4 – is too long. That really got me off on the wrong foot last time. This time I understood those first chapters – what was going on and how it linked in. Copenhagen is really just a big city along the lines of Dallas or something – equivalent populations – and there’s a crime element in both cities and much of it has to do with immigrants. This is a huge theme in The Marco Effect. Basically the plot is that several years prior a group of businessmen had scammed an African humanitarian effort to the tune of millions of dollars. They covered their tracks and bad things happened to people who knew. But one guy, William Stark, got away and back to Copenhagen, so the powers-that-be hired a criminal family of immigrants to have him killed. One of the young members of that clan is a 15-year old boy named Marco. In 2011 Marco decided he needed to run away from that little gypsy clan and in doing so, he found the body of the last victim of the businessmen. Zola, the charismatic and evil clan leader had had him killed and now Marco knew that. Meanwhile the family of Stark has been searching for him and putting up posters. Dept Q gets involved because he went missing a couple or three years prior but here he is in a TV clip. And then they find Marco who really doesn’t want to be found by the police. The story moves along back and forth between three time frames (2008, 2010 and 2011) and between the bankers, Marco and Dept Q. It’s pretty confusing. Assam, a Syrian immigrant, is still the mysterious assistant to Carl Mørck the lead detective of Dept. Q while Rose the goth girl is supposed to be a receptionist but has enlarged her duties. This team provides some incredible plot of it’s own threading its way through the series. Although there are some thoroughly “bad” guys, nobody in this series is completely “good.” Carl, Assam and Rose all have their little peccadillos. Bottom line, the book was much better the second time but still I think it’s too complex what with huge cast of criminal characters in complex financial and gangster activities. Statistics from fourth quarter 2013 show that 439,824 (77.3%) of the population of Copenhagen Municipality (central Copenhagen) were of Danish origin, 41,423 immigrants and 4,628 descendants from Western countries (8.1%), 56,026 immigrants and 27,099 descendants from non-Western countries (14.6%). The city’s service and trade sectors have developed while a number of banking and financial institutions have been established. Q 1. – Have you read anything by Jussi Adler-Olsen prior to this one? – Which ones? Why not? How does this compare? How does Adler-Olsen fare alongside Jo Nesbo, Henning Mankell, Stieg Larsson, Camilla Lackberg and/or others? Similarities or differences? Better or worse? Similar in what ways? Is there a “Scandinavian type” of crime novel? What would it be? Q 2. Prologue – The Marco Effect opens in Cameroon, Africa, with Louis Fon, a good Bantu man, being killed by an angry chief because he might interfere with the ongoing corruption. But before Louis died he sent a text and then the chief steals the phone for his son. This is the Prelude. In Chapter 1 the story moves to a high-placed Danish banker named Rene Erickson who has a scam regarding the funding of Cameroon going. The “coded” text message from Louis is received by William Stark, Rene’s employee, who tries to decipher it and Rene really dislikes Stark’s possible interference. Erikson sends Stark to Cameroon to sort it out in spite of Stark’s step-daughter is having serious health issues. When he gets to Stark he finds accidental help with the coded message from Louis’ phone. Rene is in contact with Brage-Schmidt, the head stock holder Erikson’s company – who gets in on, takes over actually, the scam – the “disappearances,” (Fon, Umbomo and Stark), financial cover-ups and all. Marco enters the story in Copenhagen – A child in a family of criminals – not too much different from Oliver Twist here what with Zola as Fagin, the undisputed viscous head of little criminal clan/gang. Marco and family is from Italy – no school for Marco in Denmark but he gets textbooks from an anonymous teacher. Marco is obviously a sympathetic character, a very bright and helpful child living in an incredibly abusive situation. Is Marco “too bright” for his age? Is he well enough developed? How about Zola – he appears to be a well-dressed, English-speaking man from the US, but he has a dark side. Is he well enough developed? Apparently Marco’s family used to be gypsies but now belong to Zola. ** Other family members – Miriam, a crippled woman (how crippled?) – Marco’s mother and father – Lila, Marco’s sister? Chris, Samuel, Sasha – how big do you figure the clan is? Dream to go to Philippines. Marco must be maimed. – eeks. and then in a coffin – eeks! 3. 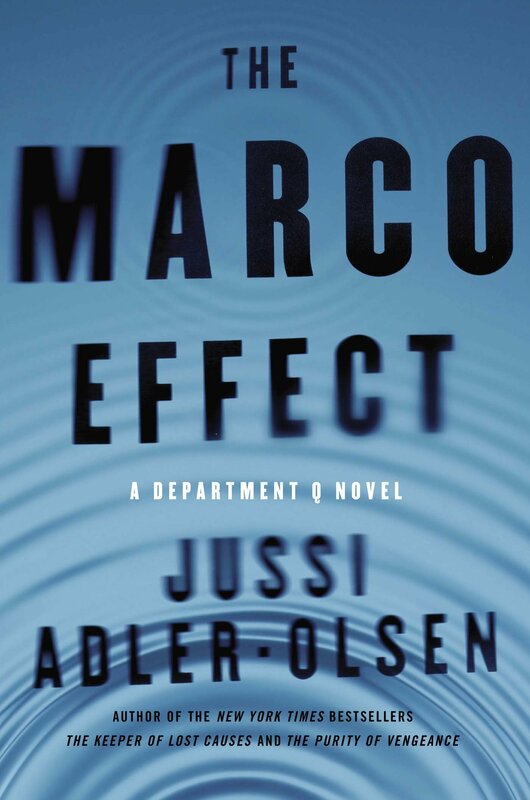 How does the setting work for you in The Marco Effect – does it “feel like” Denmark? (What does Denmark feel like?) The big money, the treatment of immigrants, the world charities, etc? Is this true here? What picture do you get of Denmark in the 21st century? How does society create the crimes in this book – for Marco, for the family, for the bankers, for anyone else? 3. Thoughts on the love-lorn Carl Mørck and his younger and mysterious assistants Assad and Rose? What’s motivating them? They do not seem to be completely “good guys.” Why do they work so well together as characters? Do you follow the crime as a stand-alone novel or the background story as the over-arching story? Which has the greater hold? Is it necessary to read the prior Dept. Q books before The Marco Effect? 4. Getting to The Marco Effect specifically – The book starts out with quite a long section in Africa 2008 where a complex financial scam is being perpetrated to the point of murder by some really hard characters – Did the first chapter grab you or put you off for any reason? 7. How about in Denmark and the “family” of Marco? Is there a difference between the very rich and powerful “bad guys” in Africa and the destitute “bad guys” in Denmark? In between those two are the middle class mother and daughter struggling to survive – is there any kind of social statement there?